We are looking for Distributors to give this free card away to patients that deperatley need help in paying for their medication. There are 40 Million people in the USA today that are either "under insured" or have no insurance at all. We pride ourselves in helping these people pay less for thier medication by using our discount card. Unfortunately we can't reach them all, so we are constantly looking for disributors to give our card away to the patients that need financial assistance. Its completely FREE to join our team, and we pay you whenever someone uses "your" card. We pay you $1.20 for each prescription filled when someone uses your card, so let's say a person recieved a discount on 3 tyoes of medicine in thier prescription, you recieve three times $1.20. You have now made $3.90 by helping someone pay less for their medicine! Now imagine doing that for 500 to 1000 people a month. I will let you do the math. The Pharmacist will lock the information from your card right into their system so everytime that patient comes to get their prescription that patient comes to get their prescription filled, the discounted price from your card will automatically apply, and you will get paid again... So we have locked in a residual income for you every month. You can create a team to so the same exact thing that you are doing and get paid from their cards as well. Lets say you bring "john: on as a FREE Distributor and he starts giving his cards away. When his cards are used, you will make 15 cents from every prescription filled utilizing John's cards. Now lets say John brings "Mary" on as a FREE distribtor and she starts giving her cards away. When her cards are usedm you will make 15 cents from every prescription filled utilizing Mary's cards. 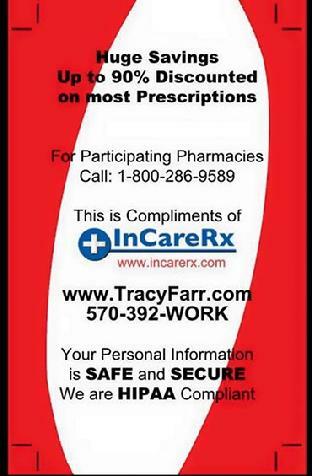 NOW INCARERX DECIDED TO INCREASE OUR PAY! 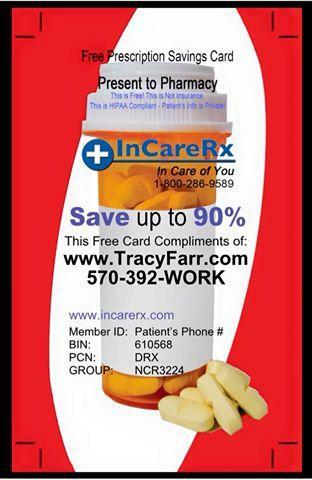 This business is working so well that Incarerx decided to increase our pay out! From 1 to 499 paid claims ina month, we get paid $1.20. From 500 to 999 paid claims in a month, we get paid $1.40. 1000 and above paid claims in a month, we get oaid $1.70. The beautiful thing about this whole experience is that you and your team are helping people pay less for their medication, and your patients will love you for it! There is free training every week. You will get a check "every month". This is FREE to join. This is a "rejection free" business. If you're interested in becoming a Free Distributor for our cards and make an income by helping people pay less for their medication, please fill out the form below. All info submitted is mandatory and real so we know where to send your checks and so you can receive comminication from us. 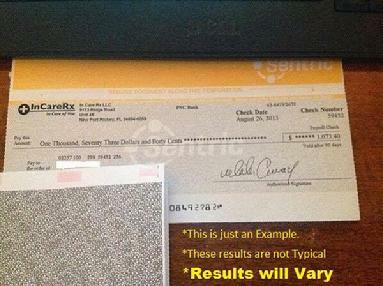 INCARERX Reps see monthly checks like these by just giving a simple little card away!